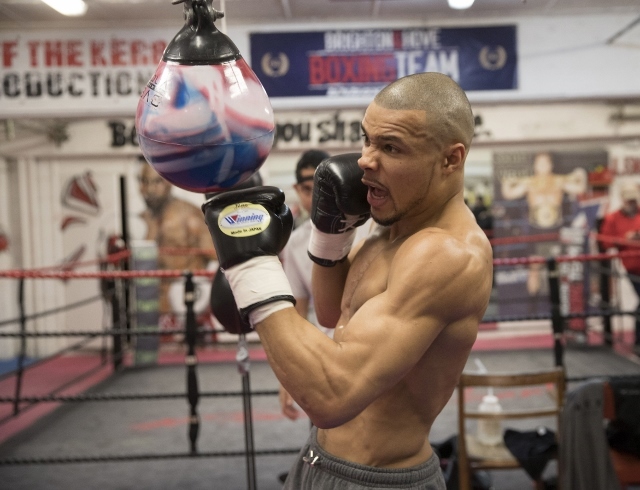 IBO super middleweight champion Chris Eubank Jr. is currently training with veteran coach Virgil Hunter. And while there is not actual agreement in place, Eubank Jr. does not rule out the scenario of working permanently with Hunter. Eubank, who is coming off the biggest win of his career, has been working at Hunter’s gym in Oakland, California. Earlier this year, Eubank secured the biggest win of his career when he retired former world champion James DeGale with a dominant twelve round decision. For that bout, Eubank was working for the first time with trainer Nate Vasquez. At the moment Eubank is working side by side with countryman Amir Khan, who Hunter is aggressively preparing for a scheduled fight with WBO welterweight Terence Crawford on April 20th. “I’ve seen what Virgil has done over the years, but I wanted to see it up close in person and work with him a little bit, just to see how it is. It’s just exploring, Virgil’s not my new trainer. I’m just having a little dabble. It absolutely could turn into something, but you can never tell how life is going to turn out,” Eubank told The Mirror. “Distance is definitely something I’m looking to improve on. I’ve had certain injuries that have forced me to focus on inside fighting. I’m now injury free so I want to get back to distance fighting and learning more about being on the outside. Virgil is a master of those things. Looking at his biggest success story, Andre Ward, I can see some similarities in our fight styles. Hunter also told the paper that he’s open to the idea of working with Eubank on a full-time basis. “I don’t know if we will end up working together,” Hunter said. “I don’t know if I can spend two months in the UK training him, but I’ve told him I should be able to answer any questions he may have.